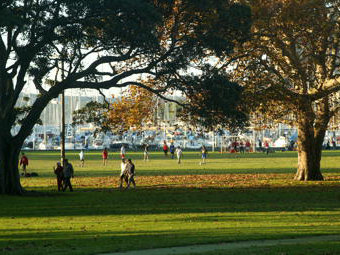 Rushcutters Bay Park is on the Eastern side of the CBD, approximately 2km directly east along William St. There are two good quality grass playing fields set amongst giant Fig trees with an outlook over Rushcutters Bay. The park is within jogging distance of the CBD down Park / William St, there is limited on street parking, buses run frequently along William St to and from the city. Edgecliff Railway station is just a short walk from the venue. 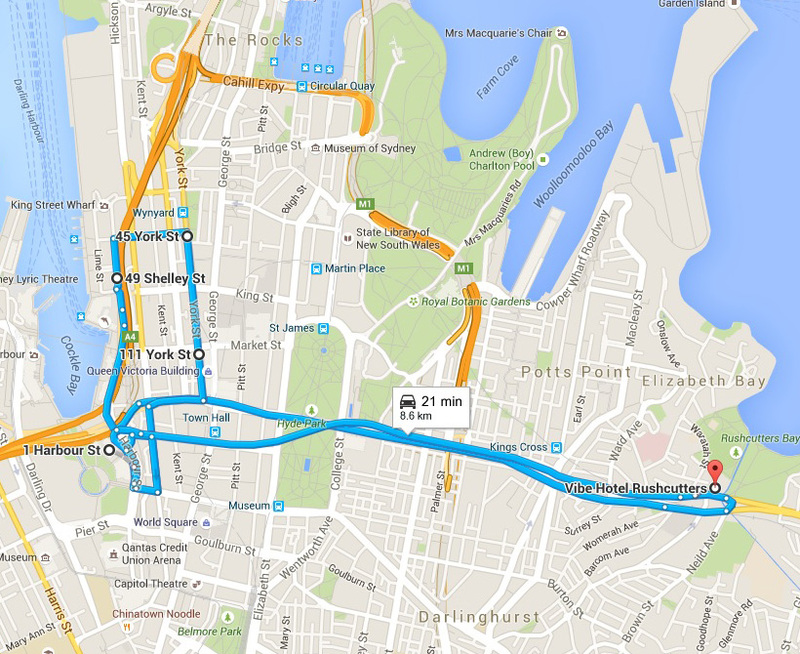 This allows participants from the CBD to travel to Rushcutters Bay, play and return to the CBD in around 1 hour. Rushcutters Bay Park is managed by Woollahra Council. The shuttle bus sets down 100m from the Park in front of the Vibe Hotel.